Did you know that the WHO (World Health Organization) estimates that 95% of North Americans have at least one form of parasite. Spring is the perfect time to cleanse and as parasites are most active at the start of a full moon (April 6, according to my Moon Phase iPhone app), I started my cleanse this morning. I would have started yesterday, but had a bit of a malfunction grinding my cloves and filling my own capsules – all sorted now! I had a live blood cell analysis done and was told a parasite cleanse would be a good idea for me. 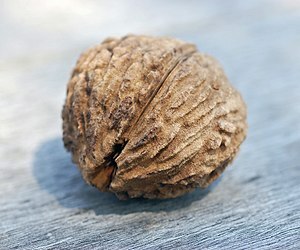 I’m going natural and using wormwood, black walnut hulls and cloves. Week 1 I am to take 30 drops of black walnut and one capsule each of wormwood and cloves, with apple juice, 3 times per day, on an empty stomach. I’m juicing my own apples so I’ll be going through a lot of apples. It’s been about an hour since I took my first round and I’m feeling pretty good – no stomach upset. Stay tuned – I’ll keep you posted on my progress.